Popular avant-punk crew from the Olympia, WA scene that revolved around the influential Op Magazine and The Evergreen State College. The group evolved out of a duo called Customer Service comprised of Steve Fisk and Steve Peters, which became a trio called Professional Ethics with the addition of Sub Pop Records founder Bruce Pavitt. 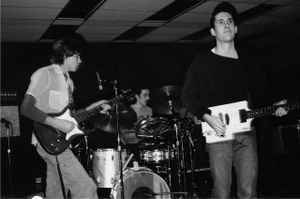 The final morphing came with the addition of the rhythm section of Phillip Hertz and Paul Tison and subsequent name change.